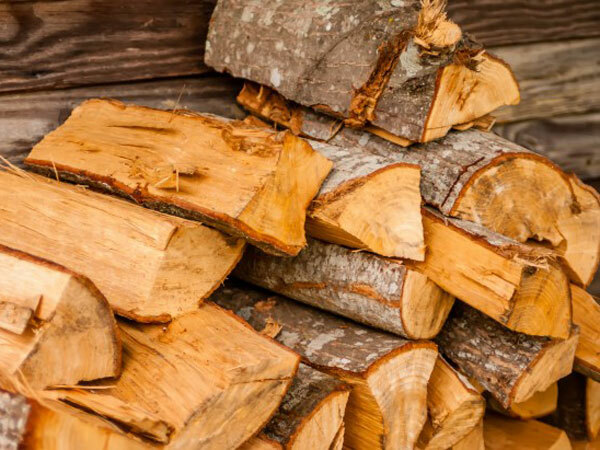 Pyrolysis of wood is a thermo-chemical process, which refers to transforming structured molecules of wood and cellulose products into useful resources through fours steps, high temperature pyrolysis, smoke emission, sulfur release and charcoal enrichment. The wood pyrolysis products are mainly wood charcoal, combustible gas, wood vinegar and tar. 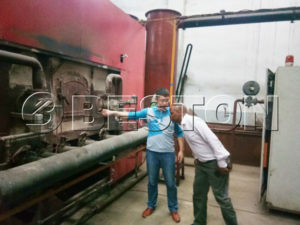 Based on this principle of turning waste into treasure, Beston has developed wood pyrolysis plant for sale, which is also called wood charcoal making equipment, wood carbonization plant, etc. 1. Pretreatment requirement: firstly, the wood needs to be dried and crushed if its moisture is higher than 20% or size larger than 50mm. 2. 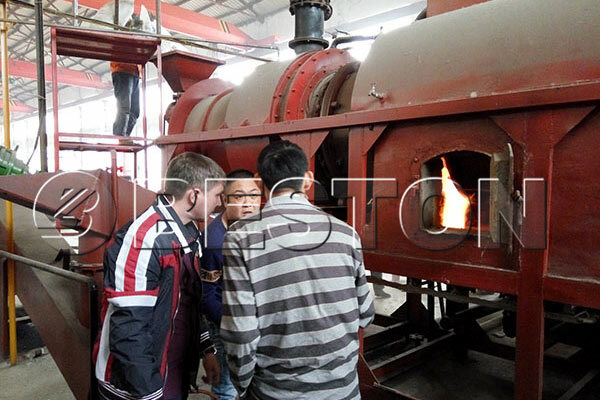 High temperature pyrolysis: after pretreated by dryer and crusher, the wood will be conveyed to wood pyrolysis furnace, and then use traditional fuels to heat for 30 minutes; when the temperature reaches the specified temperature, the raw material will generate charcoal and combustible gas in furnace. The whole process is fully sealed, which can avoid heating energy leaking and reduce the cost of fuel. 3. Smoke discharge and sulphur emission: the combustible gas generated in the furnace will be further processed by spay dedusting system to remove sulfur components, which can reduce the environment pollution; next, through condenser system, we can extract tar and wood vinegar from the purified combustible gas. ; all these steps, the combustible gas will replace coal and be recycled to supply heating for the furnace or dryer by draft fan, which has largely reduced energy consumption and save more cost. 4. Charcoal enrichment: through cooling system, the temperature of charcoal is reduced to 30℃, which can avoid the occurrence of dangerous accidents and we can safely discharge the charcoal. 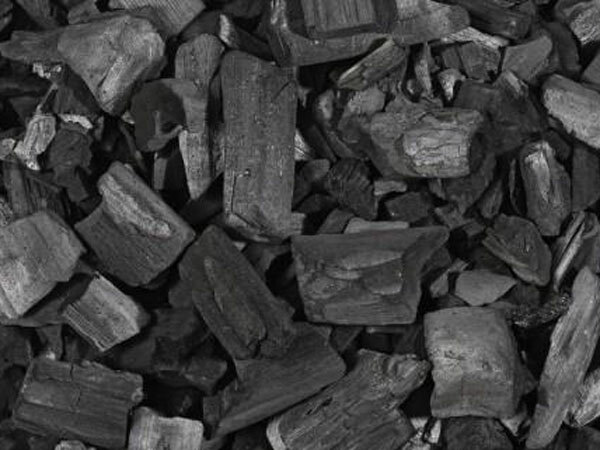 Wood charcoal is quite familiar for us, which has been often used as fuel for heating, warming or cooking in our living life, especially in BBQ; it is also an important fuel in metal smelting industry, or used as additive to produce steel covering; and even in agriculture, the charcoal from wood is the first choice material to make natural fertilizer, which can improve the soil quality and promote soil integration. In addition to charcoal, the wood vinegar and tar are often used as chemical materials in many areas. All of these final products have high marketing values, so that you can recover the cost as soon as possible. 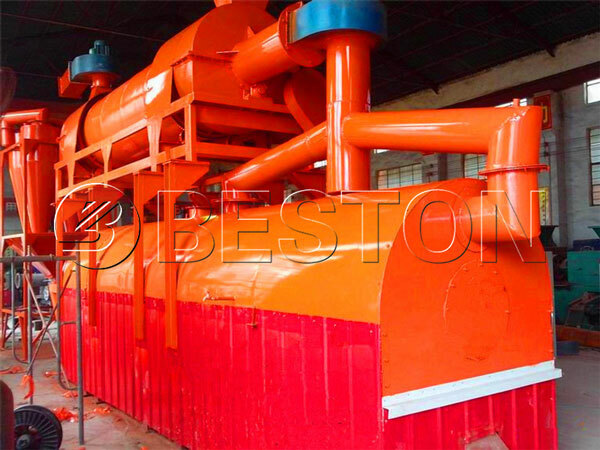 In order to meet different requirements of clients, Beston Group has designed various models of our wood pyrolysis equipment with the different capacities. Beston has introduced the double layers furnace, which can largely increase the rate of heat utilization from the beginning, and can guarantee that the raw materials can be processed thoroughly. The whole wood pyrolysis process lasts 15 to 20 minutes, and the pyrolysis speed is fully continuous. It will be beneficial for increasing the pyrolysis efficiency. In order to respond the international policy of energy saving and environmental protection, the wood pyrolysis machines designed by Beston Group are all equipped with spay dedusting system to remove sulfur components. During the pyrolysis of wood process, we mainly use combustible gas to replace the traditional fuels to heat furnace and dryer, which has achieved both energy saving and environmental protection. 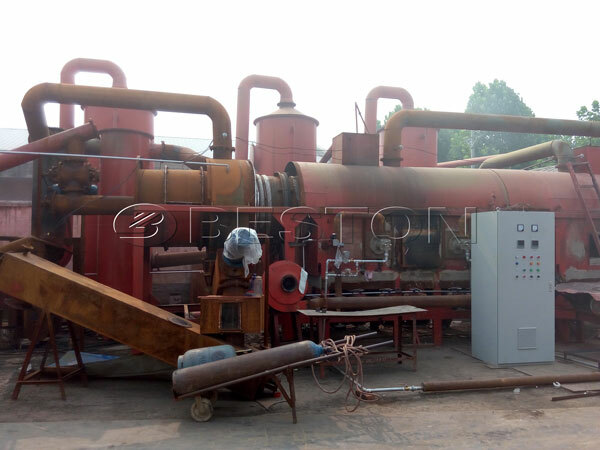 The wood pyrolysis plant for sale can not only turn wood into charcoal, and it can be also used for processing other materials such as sewage sludge, MSW, biomass waste including sawdust, straw, bamboo, fruit shell, leaves and weeds, etc. The multifunctional machine is the best choice for you. Contact us for more details.